The Holy Ghost Cemetery is a hidden treasure of 1.2 hectares of tranquil green space at the heart of modern Basingstoke. 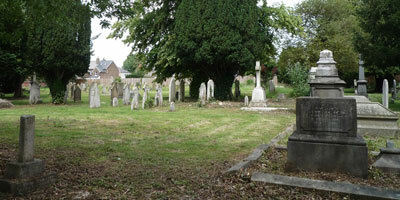 This was the main graveyard for Basingstoke from the 13th century until 1912 and ashes may still be interred here. It is also known as South View Cemetery. 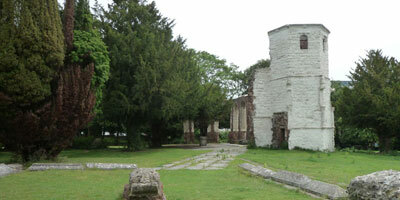 The Holy Ghost Cemetery contains the Grade II listed ruins of two Chapels. The cemetery was consecrated in 1214 and a chapel, dedicated to the Holy Ghost, was completed around 1244. This building was greatly enlarged in 1524 by Lord Sandys of The Vyne, when he added the Chapel of the Holy Trinity to the south side of the chancel. In 1858, the Cemetery was extended into the current footprint to accommodate the growing population and wealth of the town. The gothic Cemetery Lodge, which is also listed, was the birthplace of the cricket commentator John Arlott. Several important local figures are buried in the Cemetery including Thomas Burberry, the clothing manufacturer, Alfred Milward of Milwards Shoes and John Aidan Liddell, Victoria Cross. The Holy Ghost Cemetery has many mature trees which create a peaceful and relaxing open space with seasonal changes marked by snowdrops, primroses and cyclamen.